Here my 10 Pregnancy Must Haves plus a bonus of 2 nice to haves at the end. I actually really enjoyed being pregnant but these things made the more challenging times and sometimes not-so-fun side effects of pregnancy better! I know most do not feel this way and I was lucky not to ever have morning sickness (or all day every day sickness like a friend of mine had) and just several weeks of nausea so I imagine with morning sickness this list would have a few different must haves... like a toilet nearby at all times haha. Kudos to those who are dealing with/dealt with that. 1. Nature Valley Protein Bars- these were such a lifesaver! I would get hungry in the middle of the night and if I didn't eat I would feel nauseous so I would eat one of these. It was just the thing to fill me up and curb the nausea. They are delicious and have 10 grams of protein which is key because you need a TON of protein while pregnant and most bars don't have this much protein for only 190 calories. I eat them now sometimes when I'm hungry in the middle of the night while breastfeeding. Amazon has these for a great deal too. 2. Multi-grain club crackers- these were another great snack to help with nausea. You can't go wrong with delicious buttery club crackers but these are multi-grain so even better! 3. Refillable water bottle- in addition to eating a bunch of protein, pregnant ladies have to consume A LOT of water. Luckily I really like drinking water so this wasn't too difficult of a task but I liked keeping track of how much I was drinking so I made sure I got enough each day. When you drink enough water you can really tell a difference in how you feel, pregnant or not. I have this one below but the camelbak one looks nice too. 4. 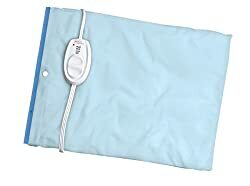 Heating pad- great for the sore back that pregnancy brings especially after being on the go a lot. This Sunbeam one was the best size and heated up quickly. I also liked it had multiple heat settings - the low ended up being what I liked. 5. Prenatal workout dvds- I posted my favorite pregnancy workouts awhile back. Continuing to work out was a must have for me. 6. Pregnancy book- Many people read What to Expect but at the advice of others, I decided on Mayo Clinic Guide to a Healthy Pregnancy instead which had all the basic information I needed and was easy to understand without scaring me to death like I've heard WTE can do. Googling symptoms is usually not a good idea and it's better to have a good reference like the Mayo Clinic Guide... step away from Dr. Google. We also read Bringing up Bebe which is a funny French pregnancy/parenting book about an American raising a baby in laid back France. 7. Leggings - these are a must! Even if you aren't pregnant in winter, they can be great in fall and spring and even summer when you are inside with the A/C going. I had like 5 pairs of maternity leggings. Make sure you find some that are super comfortable! My favorite ones were from gap (they were called supersoft leggings - picture below) and I waited until they had a sale. I also had a couple from destination maternity. 8. Prenatal vitamins- this one is a no-brainer. I used Target brand Up & Up prenatals during my pregnancy and they never made me sick or were hard to swallow. Postpartum I switched to Vegan prenatals since they were better for not interacting with another prescription I take. 9. Mustela stretch mark cream - this stuff was given to me by my sister in law and it was great - not a single stretch mark! It's pricey but I found that a little went a long way and never needed more than one tube the whole time and I even have some leftover. I've also used Earth Mama Angel Baby Stretch Oil but it does have an earthy smell to it that some people may not like but it's about as natural as you can get. 10. Burts Bees lotion - Pregnancy can make your skin dry and when you are pregnant over winter that doesn't help matters. I wanted a paraben free lotion with nothing on the ingredient list that looked like it shouldn't be in something I was slathering on my skin. I never had dry skin when using this and it doesn't have a smell to it which is a plus for anyone sensitive to smells while pregnant. Here are two additional items that were helpful but I wouldn't call "must" haves. 1. Vasaline - pregnancy can bring about nose bleeds/bloody nose as you have an increase in your blood volume. I found putting a little bit of this in my nose before bed helped as strange as that seems. 2. 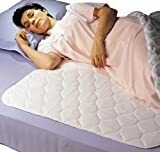 Waterproof sheet protector- if you are worried about your water breaking while you are sleeping and messing up your mattress or any fluid leaking this is nice to have. It is also good postpartum when you are still bleeding and all that fun stuff. Hope this is helpful for anyone looking to enjoy some of the pregnancy side effects a little better. What were some pregnancy must-haves you had that were not on this list? Hi, I am newly pregnant with my first baby. One of my cousins suggests me to visit a site for getting maternity clothes. I also visit belly support leggings here and saw lots of maternity clothes collections. But I don't know how is these clothes quality. Do you have any ideas about this? If you had, Please inform me I would much appreciate it. Thank you. Hi! Congrats! I am not sure about those particular leggings but I found the ones from gap and destination maternity to be of good quality for the price.